Rukshana Solanki has always had a special interest in anatomy and how the body works, so a career in physiotherapy was a logical choice for her. She is dedicated to helping her patients get back to the sports and regular physical activities that they enjoy and finds joy herself in being active and helping her patients. She graduated in 2009 from Rajiv Gandhi University of Health Sciences in India and achieved her Bachelor of Physiotherapy degree. She also received a diploma in fitness and health promotion from Humber College, Toronto. She is planning to work on certification in manual therapy and hand therapy. After graduation she gained experience in her field working in India for two years in hospital and private clinic settings. She gained further experience working in private practice as well as a community centre in Canada. She achieved her certification in vestibular rehabilitation. She specializes in taking a hands on approach to help patients achieve optimal recovery. She is a concussion specialist and is experienced in treating motor vehicle accident clients, sports injuries, and pre and post-operative clients. She believes in active therapy and encourages her clients’ involvement to reach their health goals. When she is not working, she enjoys yoga, meditation, hiking, biking and being with nature. A continual learner, she also enjoys watching health tip videos and updating her knowledge. Ravi Pandya started helping his clients achieve their physical best as a fitness trainer. An urge to do even more for them guided him into professional health care in the role of a licensed physiotherapist. He achieved his Bachelor of Physiotherapy degree in India followed by achieving his diploma in fitness and health promotion from Humber College in Toronto. Further training came from the Canadian Society for Exercise Physiology (CSEP) and an IEHP Course with the University of Toronto. Dedicated to continual learning, Ravi also acquired certifications in Maitland Mobilization, Advanced Vestibular Rehabilitation, Concussion Shift, Acupuncture, Tapping, and Customized Orthotics. He is currently working on his certification for Advanced Manual Therapy. 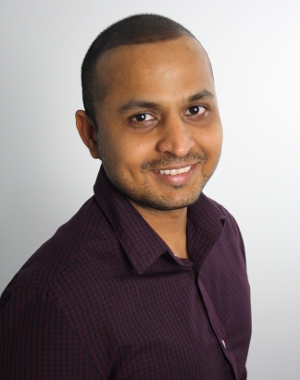 A member in good standing of the Ontario College of Physiotherapy, Ravi gained experience in his profession in orthopedic hospitals in India and in both private and public clinic settings in Ontario. His specialties include manual therapy, exercise programs, acupuncture, vestibular rehabilitation (BPPV), concussion management, balance training, tapping, work related injuries, repetitive strain injuries, sports injuries, mobilization, patient education and ergonomic advice, and chronic pain. His philosophy of care is to encourage his patients to be active partners in their own recovery. They are given prescribed exercises to do between visits to the clinic to assist in their recovery. When he is not working, he enjoys biking as well as soccer and cricket. Since Teresa was young, she has had a passion for working with people, and assisting them in living a full life as they have envisioned. As a graduate of the Canadian College of Massage and Hydrotherapy (CCMH) in Cambridge, she has been registered with the College of Massage Therapists of Ontario since 2014. She also has diploma in Community Work and Peace and Conflict Studies, and she spent more than 20 years working in Health and Community Services. Teresa's style of massage is therapeutic in nature with a focus on relaxing muscles, connective tissue, and the nervous system to reduce pain and increase mobility. On top of her massage therapy training she has completed Level 1 CranioSacral Therapy, Basic NISA training, Reiki level II, and Reflexology. Teresa can also provide treatments in French and Portuguese. He is a father of 3 children and have been living in Canada for 31 years. Bilingual in both Spanish and English who likes to be involved in the community and a graduate from the Massage Therapy Program at Lambton College 2011. His experience in clinic, hospital and Spa settings has instilled a strong belief in an integrated patient focused approach. He recognize the importance of empowering my patients with education and the necessary tools to assist them on their path to recovery. He uses a number of techniques to manage pain, increase range of motion, decrease stress, repair muscle tissue, and improve circulation. He is passionate about improving the quality of care of my patients by providing innovative treatment solutions. He continually seek to expand my knowledge and expertise through educational seminars, courses and collaborations with fellow health professionals. Swedish Massage – The most traditional form of massage techniques that is primarily used for increasing circulation and the relaxation of the muscles. Within these are light, medium and deep (deep tissue massage) stroke techniques that are used depending on the needs of the individual’s assessment. Prenatal Massage – As pregnant moms bodies change during different stages of their journey so are the needs to maintain muscle aches and tension from building up. Similar techniques as Swedish massage are used, but the positioning on the table and the depth of pressure will change during the pregnancy. Lymphatic Drainage- The Lymph system is the part of our body’s immune system that assists in fighting infection in a damaged area. Lymphatic massage is a gentle technique that is specifically used in moving the stagnation of that fluid. Myofascial Release- A soft tissue therapy that is primarily used to treat the fascia (connective tissue). It is thought that the fascia constricts muscles, decreases blood supply, causing pain and decreasing range of motion. This can happen do to inactivity, overuse, damage, disease or infection. Some of the Modalities that I use in my practice to assist in the overall treatment of my patients are: therapeutic cupping, tapping, hydrotherapy, and Reiki. As well as using strengthening and stretching exercises to assist in the recovery of injury and postural adjustments. 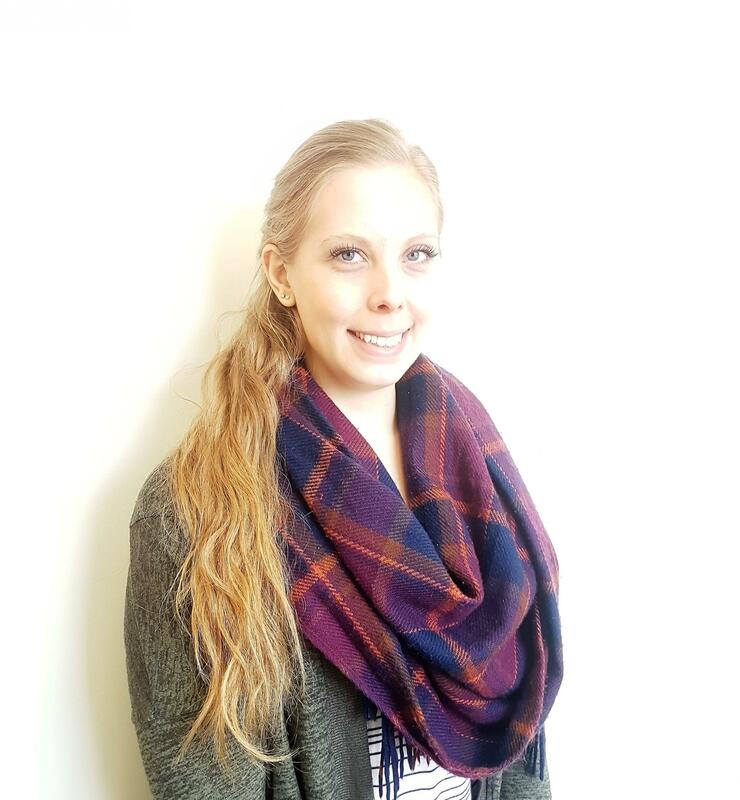 Lisa is a graduate of the Occupational Therapy/Physiotherapy Assistant Diploma Program from Conestoga College. She also has a BA in Psychology from Wilfrid Laurier University. She loves being a part of the Kitchener Physiotherapy team and helping others reach their goals. She is trained in a wide range of modalities such as IFC, Laser, thermotherapy, cryotherapy, and ultrasound, has experience regarding strengthening and stretching exercises, and performs administrative tasks. In her spare time, she enjoys hiking and biking on the Grand River trails, reading with a hot mug of tea or coffee, and being with friends and family.